Star Wars, for most of its existence as a franchise, has mainly been a big screen affair. Sure, there are animated shows such as The Clone Wars and Rebels (which I love). But for the vast majority of those who enjoy what a galaxy far, far away has to offer, it's all about the movies. I have a very strong feeling that's all about to change based on what Lucasfilm showed us from The Mandalorian at Star Wars Celebration. This is going to be the first ever live-action Star Wars TV series within the franchise and it comes from the mind of Jon Favreau, the director of movies such as Iron Man and The Jungle Book. As it turns out, he's been working on this for years, even before he had the deal locked down with Lucasfilm. He apparently had four episodes written before the deal was done. He was paired with Lucasfilm's animation guru Dave Filoni (the man behind the aforementioned shows like Rebels). They were both on hand at the panel in Chicago to show off what they've been cooking up, with a warm introduction from Lucasfilm President Kathleen Kennedy. And what they have cooked up is something the likes of which we've never seen before. It's not just because this is taking place on the small screen in live-action form. This is truly a unique piece of work within the framework of the franchise, based on what they chose to reveal at this point in time. Several of the core cast members, Pedro Pascal (Kingsman: The Golden Circle), Gina Carano (Deadpool) and Carl Weathers (Rocky) were on hand at the panel as well to talk a bit about their involvement and reveal some initial details regarding their characters. Pascal plays the titular Mandalorian bounty hunter, who still doesn't have a name, but he's said to be the best at what he does. Carano, meanwhile, is a former Rebellion shock trooper named Cara Dune. As for Weathers, he's a man by the name of Greef who is heading up a group of bounty hunters. He ends up intertwined with The Mandalorian himself when a mysterious and very lucrative bounty forces their paths to cross. Jon Favreau and Dave Filoni go way back to their time working on The Clone Wars with one another. Favreau did some voice work on the show. Filoni, all the while, has become one of the true key minds within the Lucasfilm ranks and, as Kathleen Kennedy was sure to point out, this is going to be his live-action debut. However, Filoni talked at the panel that he wouldn't have been comfortable doing it if George Lucas hadn't been involved to some degree. Filoni was Lucas' apprentice in many ways. Lucas did visit the set and it was clear that his involvement, minimal as it may have been, meant a lot to both of these creative minds. Story wise, this show takes place five years after the events of Return of the Jedi. Jon Favreau wanted to explore the idea of what happens after the Empire falls and the confetti stops. What happens to the galaxy before the New Republic takes over. Are they better off? Probably not. The whole thing is going to do its best to capture the "scum and villainy" vibe that we were introduced in A New Hope back at Mos Eisley in 1977. Based on everything we saw at the panel, which included a whole bunch of footage (more on that in a minute), they've done a tremendous job on that front. Both Favreau and Dave Filoni also talked a lot about using old westerns and samurai movies as touchstones. Again, everything we saw spoke to that in spades. They also even took some inspiration from strange places, such as the Star Wars Holiday special, as The Mandalorian's rifle is ripped straight from the animated short in that much-maligned special. Everyone was careful not to give away too much in terms of spoilers, but our main character is said to have "questionable moral character." It was also made very clear that this show is going to be for every kind of Star Wars fan. Love the original movies? This is for you! Never seen a Star Wars movie before? This can be your entry point! They also used a combination of groundbreaking technology, mixed with tons and tons of practical, real-world effects, locations and sets to give the show an authentic feel. Everything looks so very real. So touchable. So tangible. So lived in. They even shot a lot of the space flight sequences using miniatures and tracks, much like the way it was done in 1977. I wrote up a larger piece breaking down the footage we saw in much greater detail, but we were shown a behind the scenes featurette, roughly 10 minutes of footage (give or take) and a teaser trailer of sorts. I was in the room for the reveal of the Rise of the Skywalker trailer. I was there for Jedi Fallen Order. This absolutely blew everything else out of the water. Star Wars fans are not ready for what's coming. The footage was packed with stunning visuals, amazing landscapes, tons of fascinating characters. It feels so authentic to the franchise but so very new. It takes place in a time period we haven't really explored much on the big screen, which helps. It also centers on types of characters that haven't really been given a chance to shine on a platform this big. There wasn't a lightsaber in sight. This is street-level, gritty Star Wars. It's The Good, The Bad and the Ugly in a galaxy far, far away. It was even said at one point that The Mandalorian has a lot of Clint Eastwood in him. As for story, the footage revealed that our lead character is given a very mysterious bounty that is worth a lot of money from Werner Herzog's character, who appears to be working with the remnants of the Empire. It's not clear who this bounty is, but it sets in motion the events of the series. Herzog, and another mysterious doctor character, want this person (or alien?) alive. Though, dead is acceptable, for a lesser fee. There is going to be a ton of action. Big Imperial presence. Lots of aliens. Lots of cool droids. Lots of cantina action. It all feels so familiar, yet so remarkably fresh. I've seen/read/played a whole lot of Star Wars stuff in my day. This floored me. Truly. A few fun tidbits: the famous fan group the 501st Legion was actually called upon to play Stormtroopers in the show because they needed lots of Stormtroopers. It's also the first ever Star Wars production to actually shoot in Los Angeles. Gina Carano and Carl Weathers also did a ton of their own stunts, despite Jon Favreau's best wishes. The show also looks absurdly expensive. I can't emphasize that enough. Disney poured money and resources into this thing. The Disney era of Star Wars has, unfortunately, been marred by a lot of divisiveness. This feels like something wholly capable of uniting the entire fanbase. If the show is as good, top to bottom as everything we saw at Star Wars Celebration, I firmly believe, and I'm aware how bold this is, that this show could be one of the greatest things in the history of the franchise, up there with The Empire Strikes Back on a universal level. 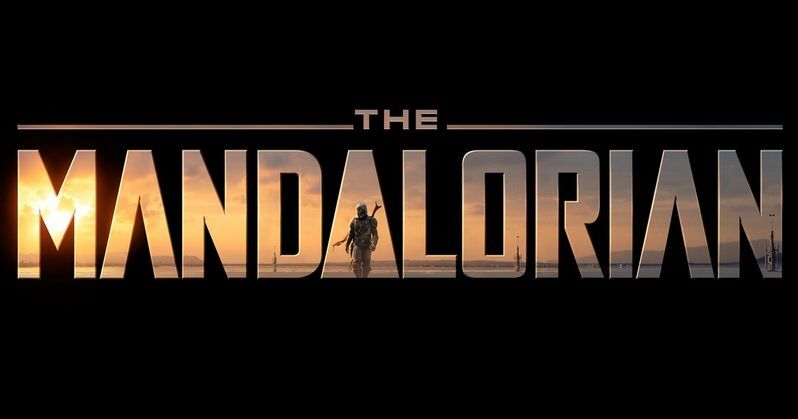 The Mandalorian launches with Disney+ this November and, again I say, you're not ready.